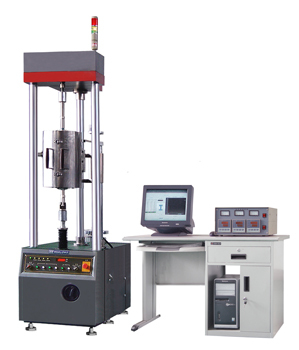 ISO 204 Metallic materials uniaxial creep testing in tension. Load Measurement Accuracy ±0.5 % of reading to 1/100 of load weighing system capacity meets or exceeds the requirements of the following standards: ISO 7500-1, EN 10002-2, ASTM E4, JIS B7721. Strain Measurement Accuracy ±0.5% of reading to 1/50 of full scale with most ASTM E83 class B or ISO 9513 class 0.5 extensometers meets or exceeds ASTM E83, ISO 9513, and EN 10002-4. Power supply Standard optional voltages 220/240VAC, 50-60 Hz, Power must be free of spikes and surges exceeding 10% of the nominal voltage. Power supply system is completely customizable.